Capt. Stan's Deep Sea Chronicles: Miami Heat Are Up 2-0 in the First Round! Miami Heat Are Up 2-0 in the First Round! 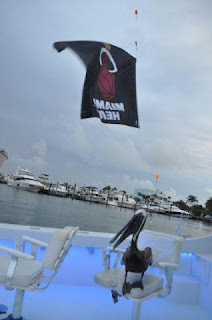 Miami Fishing charter the THERAPY-IV wants to congratulate the Miami Heat on their second win this playoff series. The Heat has set the tone with another win against the Milwaukee Bucks. Last night’s game was another hard fought battle as the Bucks gave everything they had and more. There were points in the game in which the Bucks had the lead. Until the 4th quarter our team didn’t have a comfortable lead all night. Momentum changed drastically at the beginning of the 4th quarter as the Heat went from a 3 to 15 point lead in a matter of minutes. Leading players for the Bucks were not successful due to the Miami Heat defense. Role players stepped up big for the Bucks but it wasn’t enough to defeat our team. Sudden changed of momentum crushed the moral of the Bucks as the Heat cruised throughout the rest of the final quarter. Lebron and fellow starts sat out towards the end of the game as the score went out of reach. This win is worth celebrating for what it is, but the series is not over. Miami Heat did what they had to do by protecting their home court advantage. Our local basketball team will be visiting Milwaukee to play two more games over there. Let’s continue to support our Miami throughout this series and hopefully the rest of the playoffs. Miami has the best NBA fans cheering for the best NBA team. Miami Beach Deep Sea Fishing charter shows their support through social media and the Heat flag. The THERAPY-IV proudly waves the flag representing our Miami Heat. Be sure to show your support whether it’s going to the game, watching on TV, listening on the radio or purchasing merchandise. 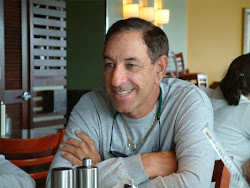 Go Miami Marlin Fishing Before April Ends! One Down, 15 More Playoff Wins to Go! Miami Heat Get Their Revenge with Win #64!! Miami Heat Won Their 60th Game! !